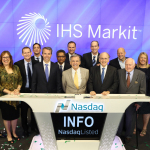 NEW YORK--(BUSINESS WIRE)--IHS Markit (Nasdaq: INFO), a global leader in critical information, analytics and solutions, today celebrated its first day of trading under the trading symbol “INFO” on the Nasdaq Global Select Market by ringing the opening bell at the Nasdaq MarketSite in Times Square. 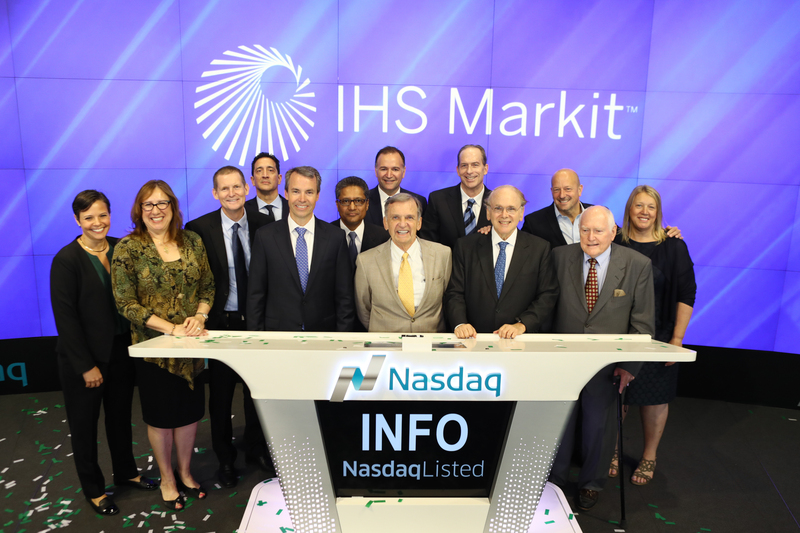 Leading the bell-ringing ceremony were Jerre Stead, chairman and chief executive officer, IHS Markit, and Lance Uggla, president, IHS Markit. IHS Markit also celebrated the occasion by unveiling its new company logo, complete with a green spiral-shaped pattern that signifies the breadth and depth of the critical information, analytics and solutions it delivers for the major industries and markets that drive economies worldwide.